Elbow Beach, Bermuda is an intimate luxury resort featuring 98 guestrooms in secluded cottages nestled amid 50 acres of landscaped gardens. The resort offers a spa, fitness room and award-winning dining. Relax surrounded by beauty of a private pink-sand beach. 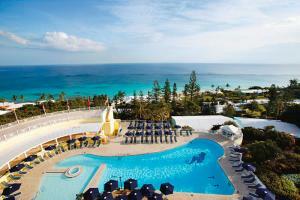 Most of the newly refurbished rooms and suites afford stunning views of either the Atlantic Ocean or beautiful gardens.